LONDON -- Ford Motor Co.'s head of manufacturing in Europe, Mike Flewitt, has left his post after just five months in the job. Flewitt, an English native, was appointed to the role on Jan. 1, but will be replaced as of June 1. Ford named American Jeff Wood, 52, as his successor. Wood is director of manufacturing for Ford's North America vehicle assembly operations. Flewitt, 50, left "to pursue other career interests," Ford said in a statement. Automotive News Europe has learned he has returned to the UK from the company's European headquarters in Cologne, Germany. Ford has been hit by the industrywide slump in the European car market and is currently under pressure to trim manufacturing costs as it tries to make its European operations profitable again. 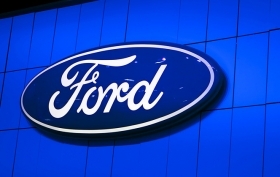 In the first quarter, Ford of Europe reported a pre-tax loss of $149 million. The automaker is cutting some working days at its plants in Valencia, Spain, and Cologne, Germany, and has also cut daily production rates at its factory in Saarlouis, Germany. Flewitt has returned to the UK from Ford's European headquarters in Germany. Flewitt had succeeded Ken Macfarlane, Ford of Europe's manufacturing chief since December 2008, after Macfarlane retired. 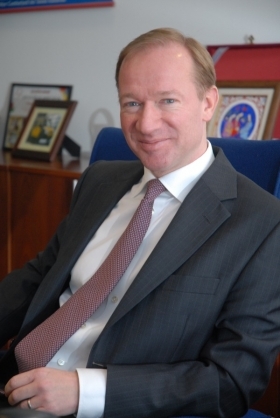 Before becoming manufacturing boss, Flewitt was Ford's European vehicle operations chief. He started his working life as a trainee at Ford's factory in Halewood, England, in 1983. Earlier this month, Ford of Europe CEO Stephen Odell told Bloomberg that Ford will consider the need to "right-size" its production capacity should the slump in the European market continue. Odell said Ford's second-quarter European production will be 65,000 vehicles lower than a year earlier, equivalent to a 15 percent reduction. Ford says that what it defines as the European market will this year shrink to about 14 million vehicles, versus 15.3 million in 2011, of which it expects to win a "broadly flat" 8.3 percent share. Demand in Europe, where Ford also has plants in Belgium, Romania, Russia, Turkey and the UK, is suffering as the sovereign-debt crisis and austerity measures crimp purchases, Odell said, adding that the full impact of government spending cuts probably hasn't been felt yet.